The Windows phone community may be the most passionate group of smartphone fans on the internet. Sadly, it seems that many, not all, of those fans, are also becoming the most jaded, cynical, aggressive and downright cruel group of anti-fans on the web. What happened to that jovial bunch of loyalists that began embracing Windows Phone 7, Microsoft's unique mobile OS, back in 2010? Many unique features of Windows Phone 7 seduced fans to embrace Microsoft's refreshed mobile OS seven years ago. As a reboot of Microsoft's mobile efforts, the Windows Phone OS was touted by Microsoft and fans as beautiful, fluid, light and buttery smooth. The OS-level integration of various services almost made the OS the "app for that" that other platforms needed an actual app for. The idea of hubs and Rooms were also fan favorites. The phones control center - the Me Tile- represented the apex of the Live Tile user interface we all loved. All of that was coupled with esteemed Nokia hardware that dominated nearly 100 percent of all Windows phones in the market. We, fans, bragged about "our" industry leading camera tech that was recognized as the standard to beat. When little else was respected by "our" rivals and the advocates of competing platforms we at least had the best camera tech and an OS so light that it ran optimally on even low-end hardware. Virtually everything fans loved about Windows phone has changed. Unfortunately, literally, all of that changed. Well, we still have Live Tiles. But after seven years there has been no radical evolution in their functionality besides new sizes, grouping and chaseable notifications. Exploding tiles which was hinted at years ago seems a forgotten hope. Culminating in its present iteration, Windows 10 Mobile, Microsoft has shifted Windows on phone toward a more app centric, less fluid, "heavier" OS, with little of its original appeal. Microsoft even introduced Android-esque UI elements to entice android developers. Needless to say, UI changes like hamburger menus and smaller text that didn't flow across the UI altered Windows phone fans familiar experience and angered many. To add insult to injury, the UI changes failed in their intended goal, Android developers never came. Loyalist's confidence in Microsoft's decisions about mobile continued to wane. Furthermore, former CEO Steve Ballmer famously or infamously pushed Microsoft into smartphone hardware with the purchase of Nokia's phone division. Current CEO Satya Nadella (famously or infamously) pushed the company out of smartphone hardware, barring aspirational category-defining devices via Microsoft's Devices team, with the write-off of the Nokia purchase. Loyalists confidence in Microsoft waned as Redmond made unpopular decisions. The loss of the Nokia camera team and the strategic focus on camera technology that would have likely kept Windows phones at the helm of mobile photography was a massive blow to the fan base. "Why surrender the one advantage 'we' have and that competitors acknowledge?" many thought. All of these changes have been a bitter pill for fans to swallow. Furthermore, the promises of a strong mobile presence, as part of the Universal Windows Platform have also begun to ring hollow for fans. Outside of a couple of big name OEMs, smaller locally relevant OEMs bear the difficult burden of ensuring Windows phones are a known entity in the market. A simple query to "Joe Consumer," who will likely respond with a quizzical look reflecting little or no awareness of Windows phones will reveal just how difficult a task that is without Microsoft's aggressive support. Windows phone fans, have ridden these changes through a range of emotions from disappointment to anger, and at times unbridled rage. If those ire-inducing shifts in the platform were not enough Microsoft's unpopular retrenchment strategy began with a reduction of markets for its first-party phones and a focus on devices for Windows fans, the enterprise and value consumers. A reliance on OEM partners became the primary means to bring phones to the mass market. Very few OEMs took up the mantle. It was a reasonable strategy, particularly, if Microsoft had been successful with bringing more OEMs on board while keeping first-party hardware in the market as they initially promised. Had Microsoft stuck to that course Windows on phone, even if only via first-party devices, would have likely maintained some level of visibility among consumers. Unfortunately, Microsoft later undermined its own efforts to garner much needed OEM and developer support by publicly declaring Windows Mobile as an enterprise-focused OS. 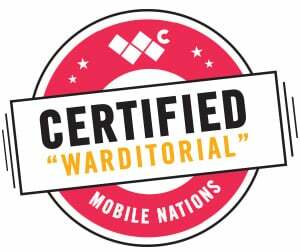 This commitment was made despite the contradicting reality that OEM partners like Alcatel and WhartonBrooks were providing (and preparing to provide) Windows phones for consumers. Naturally, publicly announcing its mobile OS as enterprise-focused signaled to developers that Microsoft's mobile strategy had no consumer play. Not even among OEMs who might embrace this enterprise-focused OS for consumer-focused markets. Consequently, fans have watched as developers, who see little promise of an all-important consumer-focused mobile presence, withdraw their apps from the platform and OEMs, like Nuans changed its focus to Android. The flow of news of new apps coming to the platform and others that are receiving much-needed updates is sadly overshadowed by the growing permanence of an air of negativity within the Windows phone community. Windows phone fans are unable to effectively direct their anger with Microsoft at Microsoft. The continual downward spiral of the platform with no word of hope from Microsoft fuels the anger and disappointment many Windows phone fans feel. This anger grows with each subsequent disappointment and fans are unable to productively direct it toward the source of their pain, Microsoft. All of this frustration-inducing activity has fans helplessly watching what has become an almost ritualistic cycle of the rise and fall of each iteration of Windows on phone. From Pocket PC to Windows Mobile to Windows Phone to Windows 10 Mobile each progression has left a trail of disenchanted fans and disenfranchised developers. Many people are confident Microsoft could have done or can still do something to resolve these platform problems. But with what many see as the company's apathy and its actual "radio silence" regarding what's next (as Windows 10 Mobile wanes) fans anger is compounded. Anti-fans target the remaining Windows phone fans with cruel insults. Microsoft is a multi-billion dollar "faceless" company that doesn't seem to hear the cries for change and expressions of discontent from the fans. The rants on social media, responses via official feedback channels or even professionally composed emails to Microsoft that express the will of the fans may seem like pointless shouts into a hurricane. Consequently, many frustrated fans and bitter "anti-fans" (ex-fans who have deserted the platform but can't stay away from Windows phone-focused articles, comment sections, forums and social media conversations ) who can't take their anger out on Microsoft, settle on proxy targets - fans who are still optimistic about the platform. The comments sections of articles are a common meeting ground for fans of a particular platform, in this case, Windows phone, to gather and share their thoughts. They are the digital marketplaces designed for intellectual discourse on the topics presented in a piece. Those who hold an opposing view are also welcome to join in the community's conversation via a respectfully presented rebuttal. Sadly, this particular forum, comments sections, has devolved into a toxic environment of insults, personal attacks, and uncensored cruelty. These offenses are usually carried out by anti-fans against individuals who are bold and secure enough to show optimism about Microsoft's effort within an environment saturated with disappointment and anger. Moreover, it's not that the optimistic are naïve, or haven't seen or experienced what the community has endured. They just see the glass as half full. The pseudo-anonymity of the web may embolden some individuals to exhibit levels of cruelty they may not otherwise exhibit in other areas of their lives. Perhaps, in a person's physical presence, these same people would exhibit a greater degree of empathy and patience for a person with a differing opinion. To that point, I remind the Windows phone community that on the other side of your screen, on the flip-side of the username at which you may be angrily banging out an insult, is a person who is just as real as you are. That person has likely experienced the same up and down, disappointing, financially burdensome and emotionally draining journey that you have experienced with Microsoft's vacillating mobile efforts. They're part of the community and your beef really isn't with them, they want what you want. We're all on the same team…right? Fans who frequent Windows phone articles are not the only ones to fall victim to becoming aggressors of unprovoked insults. Sadly, even writers who are (or were) passionate about Windows phones (but write for different sites) have also engaged in this self-destructive behavior. Aren't we all on the same team, writing about, promoting and advocating for a platform we love? As members of a tiny loyalist community for an underdog platform is it wise or even profitable to allow frustrations with Microsoft to provoke animosity or rudeness between one another simply because of a difference of perception? I don't think so. Fellow writer Michael Allison from MSPoweruser used to do a weekly roundup of Windows phone and Microsoft news that he culled from various sites from around the web including content from Windows Central. No one person or site has all of the answers or sees the whole picture. I applaud that previous effort by Michael. Sadly, there seems to be a cycle of behavior where when a person is hurt, they then lash out and hurt others. That aggression is often directed at individuals who had no part in hurting the offended party. We see this behavior repeatedly within the Windows phone community. When a new app is announced or updated, cynical retorts are hurled at those efforts to belittle the support it brings the platform. When an OEM, like HP, Alcatel or WhartonBrooks embraces the platform to bring more Windows phones to the market, the leaders of those efforts are stabbed and slashed with razor-like criticisms. Moreover, people who decide to support the efforts of these OEMs by buying a Windows phone rather than an iPhone or Android phone sometime become secondary targets of some individuals' opinions. Don't we all have a right to buy whatever smartphone we wish without being insulted by someone who has a different preference? Of course, we do. It's wise to remember that we are all people whether we know each other personally or not. Our value is summed up by far more than what smartphone we buy or don't buy. Devaluing one another with words or insults because of a smartphone choice does not respect that inherent value and says more about the character of the insulter rather than that of the insulted. People or companies who will invest in a platform use various measures to guide their decision. The size of the market share and the activity of the app stores are big and visible measures. For a platform like Windows phones both of those measures are uninspiring. Thus, investment in the platform is a pooling of factors like the potential of future technologies, potential markets for those technologies as well as the state or dedication of the current fan base among other things. What the fan base (that has been with Microsoft for years) has to say about the company, how those fans engage the market and even interacts among themselves speaks volumes to potential developers and OEM partners about the potential success of Microsoft's future efforts. It also speaks to the potential success (or lack thereof) of a developers or OEM's investment in the platform. Anyone contributing to this should seriously have their head examined. What do developers and companies see when they visit forums, comments sections, social media and other venues to get a pulse of the Windows phone community? They see what many of us see, legitimate concerns about Microsoft's efforts as well as a broken foundation of self-damaging in-fighting and cruelty. This would discourage almost anyone concerning the cohesion of the current fanbase and their ability to help move forward any investments from developers, OEMs or any other party interested in the platform. Thus, failure of the platform, though Microsoft has the major onus, could be exasperated by negativity and cruelty toward one another that is neither right nor necessary. If not motivated by moral reasons, being nice within the community can help with perceptions of the platform. What did fellow fans or OEMs ever do to you? Your fellow Windows phone fans "signed in next to you" didn't put Windows phone in the dismal state it is in. They want it to succeed as badly as you do. The OEMs that are investing millions to bring Windows phone to market didn't cause the problems we have endured with the platform we all enjoy. As a matter of fact, they're trying to make the platform Microsoft's re-trenchment strategy made invisible in the market, visible again. OEMs like Alcatel, HP and WhartonBrooks are investing varying levels of resources to make the platform that many feel Microsoft failed to market, a success in different segments of the market. Sadly, rather than offering the support of a kind word in acknowledgment of the efforts of these businesses, criticisms denouncing their sincere efforts abound. Folks, Window phone is in bad shape. Is there hope ahead? I am optimistic, but if that hope is misplaced… so be it. I and those other glass-half-full types among the community would simply be wrong. That's it. If, however, our hope is proven well placed with a future success of a category-defining ultramobile Surface PC with telephony, full Windows with CShell and a mature ecosystem, then you are wrong. That's it. Regardless of who's right or who's wrong, one thing is common: we all love Windows phones. None of us in the community caused what we are experiencing in a decline of a platform we all embrace. The loss of features we loved, dropping market share, withdrawn Lumias, lack of abundant OEM support, an enterprise focus of Windows 10 Mobile and a host of stops and restarts that "stranded" users and developers apps on devices that couldn't be upgraded happened to all of us. Taking your anger out on other victims of circumstance is both misplaced and wrong. Regardless of who's right or wrong we're all fans. And even if you could direct all of your anger at the company that is the real source of your anger, a professional expression of your concerns would be more productive the emotion-laden rants we've grown accustomed to reading. The Windows phone community seems to be imploding beneath a critical mass of frustrations and disappointment. Misdirected anger at fellow fans is crushing the community from within and could be contributing negatively to the future of the platform. Folks, nobody and no company is perfect but for so many reasons it's simply nice to be nice.